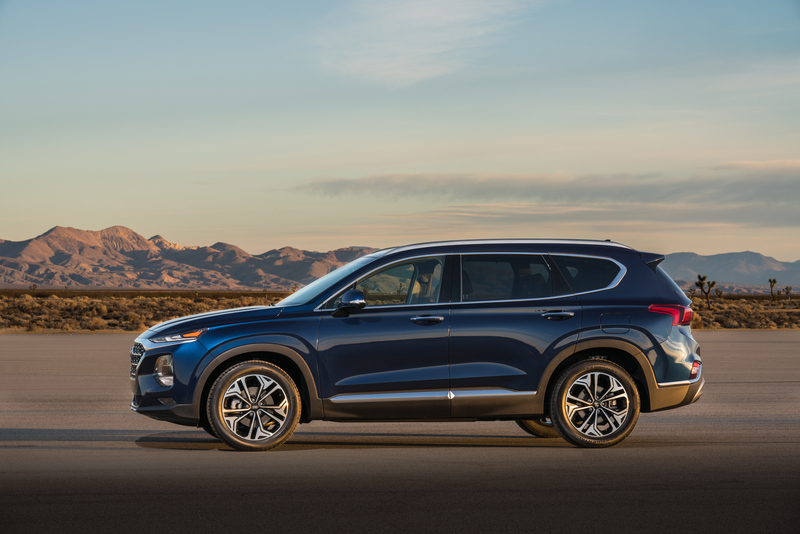 For 2019, the Santa Fe Sport becomes simply the Santa Fe, while the larger seven-passenger 2018 Santa Fe will become the Santa Fe XL. 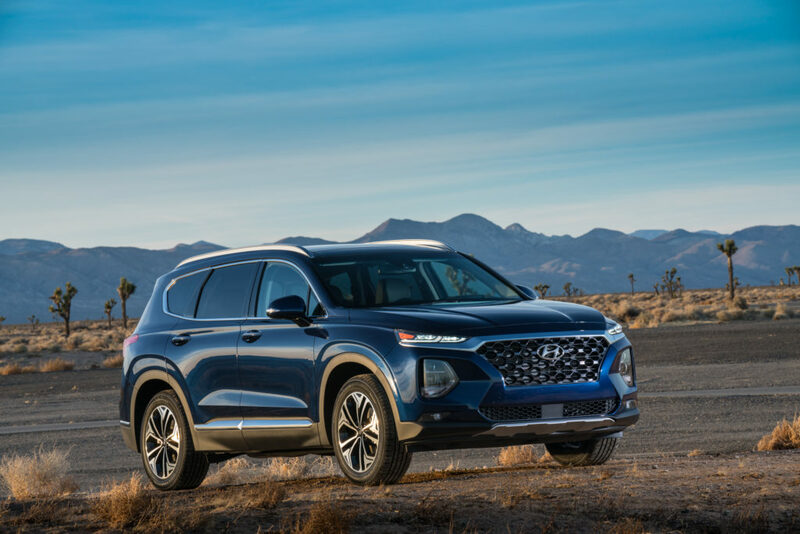 The previous generation Santa Fe Sport never became the sales success that Hyundai needed and together with sharply declining car sales, Hyundai needs this new model to succeed and help turn things around for the brand. Now on sale, pricing ranges from $26,480 to $39,780 for everything Hyundai is willing to throw on it. 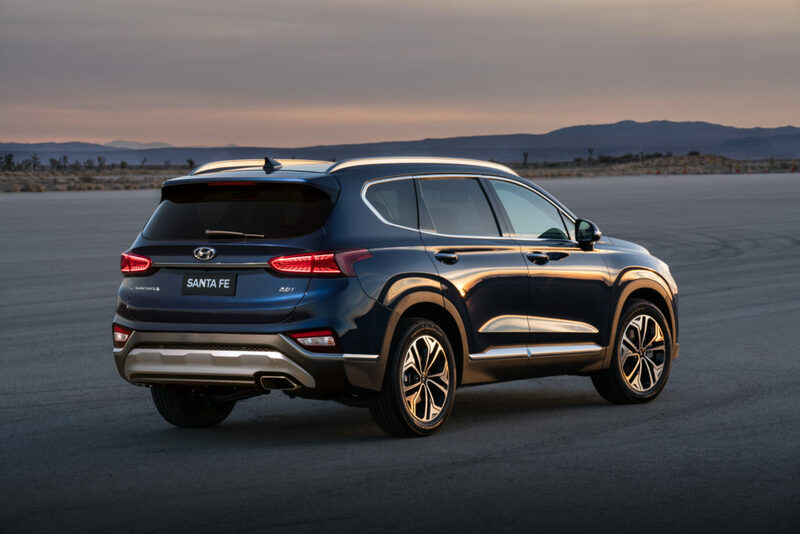 The 2019 Santa Fe is larger than before, growing nearly three inches in wheelbase and allowing Hyundai to lay claim on the most 2nd row legroom in the segment. 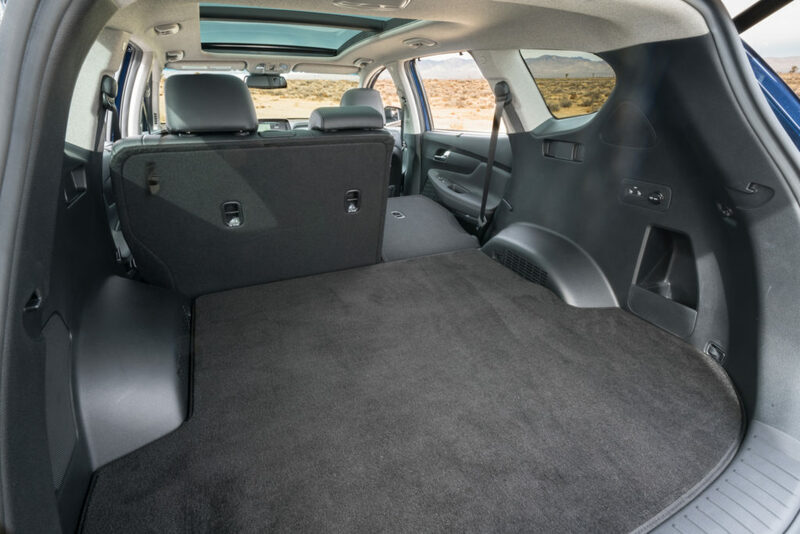 There is an optional 3rd row but Hyundai specifically notes that it is for temporary use and, intriguingly, can only be had with the diesel engine – it will be rare. The exterior styling is much more notable than before. The front end carries a bold and quirky flair then transitions into a whole host of shapes along the side of the car. The main side character line show only a slight rise as it transitions to the rear taillights where it dips slightly. Deep shapes are stamped and molded into just about every surface and create some dynamic-looking photos. The crisp lines continue around the back where several different lower garnish pieces add the rugged look while the rear glass is angled enough that together, will prevent anyone from confusing it with a minivan. 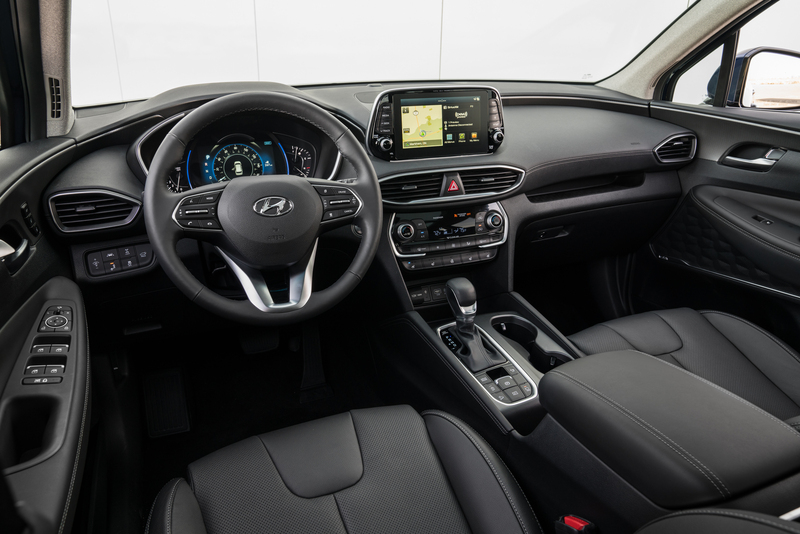 The interior is completely new for the Santa Fe and embraces a lower and more horizontal layout. Premium features in the mid-level trims include proximity entry, just about every form of audio connectivity including SiriusXM and HD radio, an 11-speaker premium audio system, heated eight-way power driver’s seat, and Hyundai’s remote services, Blue Link. Going for the top tier Ultimate trim brings special features like ventilated front seats with thigh extensions, head-up display, a seven-inch virtual instrument cluster display, and a surround-view monitor system. All trim levels feature active safety equipment such as active cruise control with stop and go, lane keep assist, blind spot collision avoidance (even when reversing), and driver attention warning. The SEL Plus trim adds a rear occupant alert which uses interior sensors to detect motion after a car has been locked. If detected, the Santa Fe will sound the horn and send a notification to the owner’s phone. Another smart safety feature is Safe Exit Assist which can lock the rear doors if necessary to prevent a door from opening or worse, a passenger exiting, into traffic. 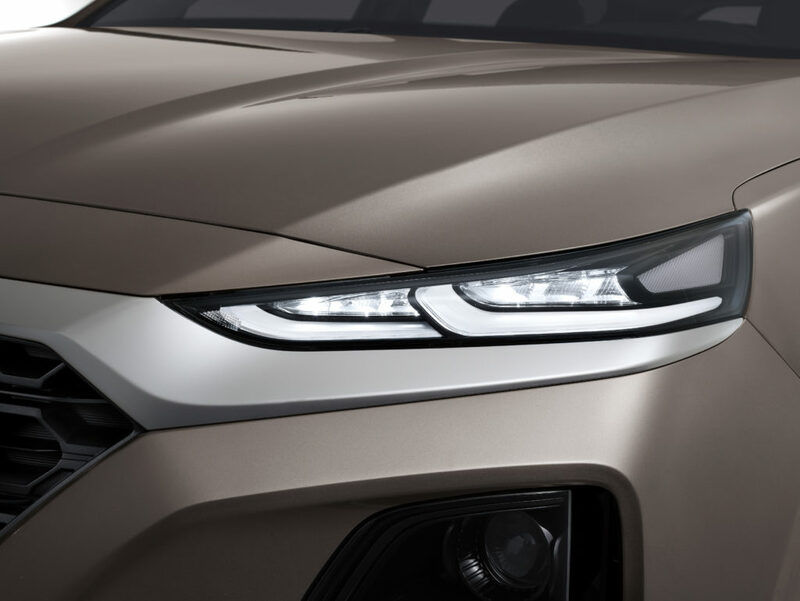 It’s a thoughtful solution that uses the blind-spot detection system and highlights the Santa Fe’s modern data communication setup. While we don’t yet know EPA figures, we can expect near top of class fuel efficiency with one ringer thrown into the mix. There will be three different engines offered, a 2.4-liter four-cylinder, a 2.0-liter turbocharged four, and a 2.2-liter four-cylinder diesel! The smaller but more powerful gasoline engine is available as an option on the top two trims, Limited and Ultimate. The diesel (with its estimated 322 lb-ft of torque) is only available in its own trim which is closely aligned to the Limited’s feature content. For a reference point, the diesel Chevrolet Equinox achieves 38 mpg on EPA’s highway cycle. All engines are mated to Hyundai’s own eight-speed transmission. An electronic all-wheel drive system is optional on all trim levels which also nets an independent rear suspension setup for an improved ride.